I went on birth control at age 12 for irregular periods and I stayed on it until I got married at age 18. I assumed my periods would be a little shaky but nothing major. I assumed pregnancy would happen quickly. I was wrong. My periods were horribly irregular and heavy. It seemed impossible to know when I ovulated or anything of the sort. I knew God was the grand designer of these things but I felt that maybe getting some natural help would be a good idea and keep my body healthy incase He did decide to bless us. 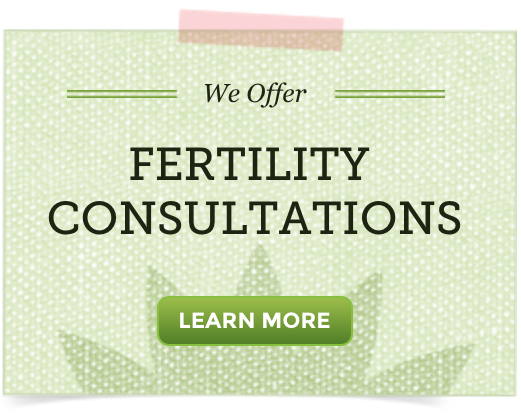 So I found this website and ordered the Fertility Consultation, which then led me to the Fertility Cleanse. I have just finished the cleanse. And I have just found out I’m four weeks pregnant! I wasn’t truly trying to conceive on the cleanse and didn’t believe I could get pregnant even then because I assumed I wasn’t ovulating! But, I was wrong and the Lord has blessed me extremely! He truly does hear and answer prayers and I believe He had lead me to the Natural Fertility Shop so I could care for my body and prepare for the blessing He had in mind for me to receive. 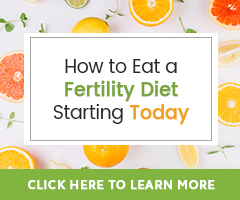 The Fertility Consultation was extremely helpful, but the Fertility Cleanse really is what I believe got rid of all that excess birth control and made my body healthier and stronger. I took the Fertility Cleanse for the time prescribed. And my husband took Tribulus for that same amount of time. I felt better, healthier and stronger! And I got pregnant! Don’t stop trying. It’s difficult and scary, but you can’t give up. Even for me this journey is not over. I have to continue to care for my body and this new baby I’ve been so blessed with. God is Who I leaned upon and depended on. He has led me to this Fertility Shop and He has helped me keep my faith strong. DO NOT LOSE FAITH. Miracles happen when you least expect them. Is there anything else you would like to share? : Thank you to all who are a part of the Natural Fertility Shop. You are truly blessed with God given talents and are so crucial to my pregnancy journey. God bless! *Note: We suggest that couples refrain from trying to conceive during the month of a Fertility Cleanse. The Fertility Cleanse is best used in preparation before conception. I am currently on Phase 2 of the cleanse but, I thought that you were not suppose to try to conceive on this cleanse. I know that the Fertility Shop strongly suggests not doing it. I just found this testimony to be out of sorts. We do suggest against actively trying to conceive while cleansing (see my note on this story). Ultimately however, it is a personal choice. This will be my first time trying this product. I’ve been ttc for about 5 years. My tubes were blocked and I had laparoscopic surgery back 2010. Still no success. I tried Ivf (extremely expensive) and both attempts failed in a miscarriage. Just when I wanted to give up, God lead me to this website. This product sounds amazing and after reading about Hethir’s journey, I;m hopeful again! I know God is the creator. Not the doctors I’ve put so much hope and trust in. I just feel God wants me to do it this way. I thank God you were able to have this product for women like me! By the way I just turned 40 this year. I will give update later after my cleanse.